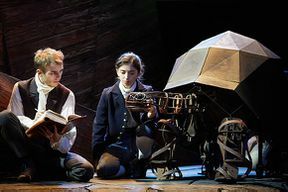 Following sold-out runs in Brisbane and Sydney, The Wider Earth makes its European premiere at the Natural History Museum, where a new theatre in the Jerwood Gallery is set to be unveiled. 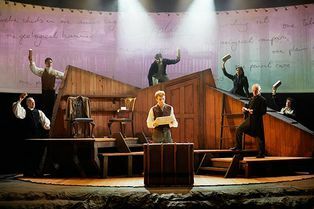 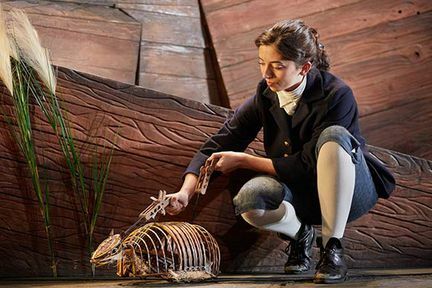 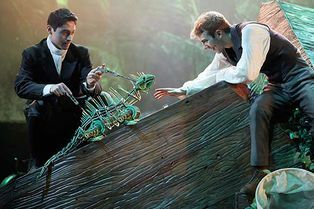 This award-winning production depicts young Charles Darwin’s voyage of scientific discovery on HMS Beagle. 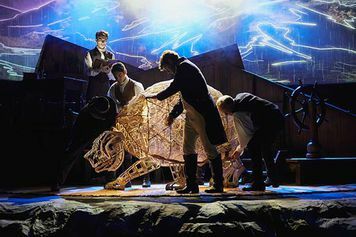 Accompanied by an ambient score, an intricately designed set, a series of dazzling animations and illustrations, and a multitude of astonishing puppets that bring to life the animals Darwin met on his journey, The Wider Earth recounts the curious naturalist’s explorations in the Andes, the Amazon rainforest, Tierra del Fuego, and the Galapagos Islands. Custodian to many of the specimens Darwin collected on his expeditions, the Natural History Museum is a unique and fitting setting for The Wider Earth - a must-see show for all animal and theatre lovers. This is a partnership project between Trish Wadley Productions, Dead Puppet Society and the Natural History Museum. The show will run for an extended period to 24th February 2019. 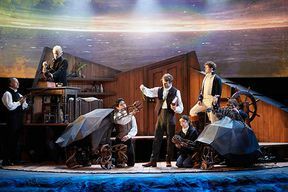 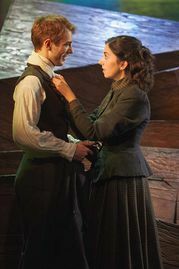 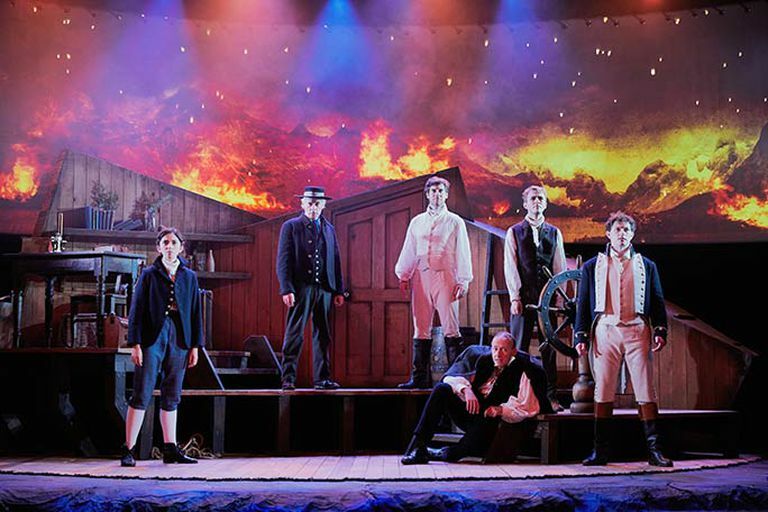 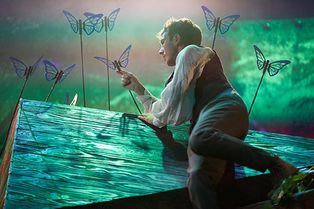 The Wider Earth features a cast including Bradley Foster, Ian Houghton, Andrew Bridgmont, Matt Tait, Jack Parry Jones, Marcello Cruz, Melissa Vaughan, Rory Fairbairn and Kim Scopes. 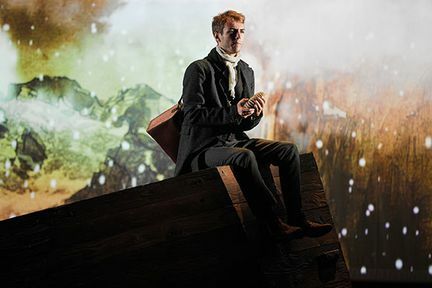 In this epic coming-of-age story, daring 22-year-old Charles Darwin journeys to the other side of the world on HMS Beagle, making some of the most important scientific discoveries in history along the way. From the smallest longhorn beetle to the majestic southern right whale and the ancient Galapagos Tortoise, Darwin meets a plethora of exciting beasts on his perilous adventures that lead him to reach conclusions about natural selection and, eventually, form his theory of evolution. Science and faith do battle in this dynamic production about Darwin’s five year journey – The Wider Earth is a mesmerising and thought-provoking piece of theatre. LOOKING FOR CHEAP THE WIDER EARTH TICKETS AT THE NATURAL HISTORY MUSEUM? 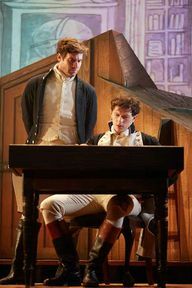 With our huge range of cheap tickets for plays on in London, a visit to the West End has never been better value. Book with us for The Wider Earth and enjoy a great play at a price that won’t bring down the curtain on your budget. Where is The Wider Earth?